Imagine if your iWatch could recognize that your iPhone is within range as a pre-payment security check. The two could then connect to a retailer’s point of sale via Near Field Communication (NFC), and a “Pay $20 to Starbucks?” confirmation could pop up on your iWatch. With a simple tap or voice command, you could complete the payment without ever entering a password or even taking your phone out of your pocket. Simple, speedy, and safe, this could open mobile payments to the mainstream with Apple at the core. You can practically see the slick Apple demo video showing a mom with babe-in-arms gracefully paying for groceries, even with her hands full. While a slew of smartwatches have launched this year, most have been met with a resounding “meh” from the public because they don’t do much you can’t already do with a phone. Google Now activated by voice command has big potential to deliver utility through a watch without the need for a keyboard, but the average consumer might balk at shouting into their wrist on the street. 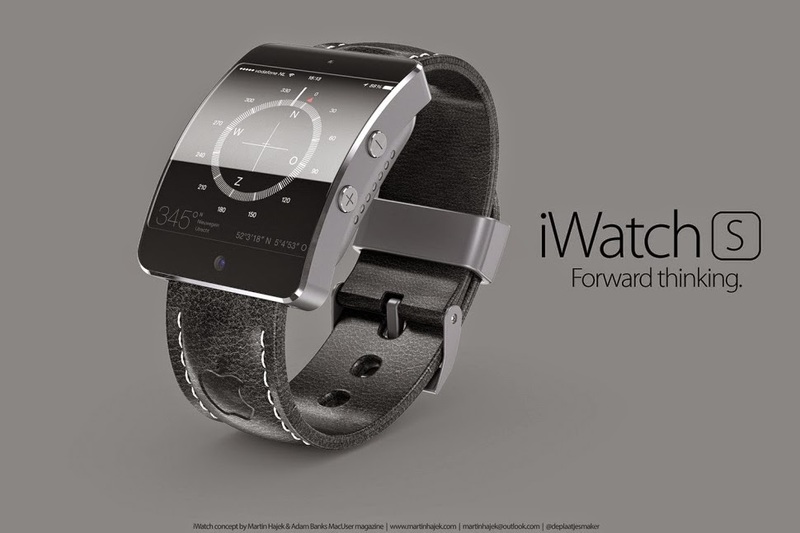 Apple’s answer to why we need the iWatch may not be what it can do that your iPhone can’t, but what they can do together. Apple is already poised for this strategy because many people buy all their high-tech gadgets from the company. iPhones, iPads, iPods, MacBooks. There were some synergies between iPods and Macs, or using iPhoto or iCloud across devices. But the iWatch/iPhone two-factor authentication trick could let you replace your wallet if you join the cult of Apple. Speculation, and not fact, has brought up talk of a fingerprint scanner just like the iPhone 5S, along with the inclusion of NFC for wireless payments and syncing. While they’re possibilities, the inclusion of Siri may be more likely, if only to make it easier to use the small screen. Would the watch have to run a full version of iOS? A cut-down version for use on the wrist makes more sense. Of course, we can expect fitness and health tracking to play a part, along with sleep analysis and all the usual notification and music controls we’ve seen on existing smartwatches. All of this is made possible by Bluetooth Low Energy. Finally, we’re not sure whether the iWatch will end up being able to make calls. If so, it may follow the Galaxy Gear and include a microphone and speaker, rather than a SIM card slot. Rosenblatt Securities Brian Blair’s sources tell him that there will be “models” of the iWatch, though he didn’t specify the nature of those models. The device’s final specs are still up in the air. Although we’re confident Apple will release two different versions of the device, we still don’t know for certain how big each model will be. KGI Securities analyst Ming-Chi Kuo, who nailed most of the details around the iPhone 5s last year, chimed in with a report claiming that Apple will release one model with a 1.3-inch display and another one with a 1.5-inch display. However, we’ve also heard reports claiming that the iWatch’s display will be as big as 1.8 inches or even a whopping 2.5 inches, so we’ll put Kuo’s report in the realm of still unconfirmed information.